Federal law generally protects websites from liability for content posted by third parties, otherwise online review platforms like Yelp would need to vet every single review before it gets published. But a small-business owner in Washington believes Yelp is liable because of its star ratings and because Yelp reviews can end up on Google search results. This dispute goes back to Sept. 2011, when a Yelp user identified as only “Sarah K.” posted a one-star review about her alleged experience with a locksmith in Microsoft’s hometown of Redmond, WA. The Yelper complained that the locksmith was late and tried to charge her $175 for a job she’d been told would cost $50. In Sept. 2013, two years after the Yelp review was posted and a year after Sarah K. denied the locksmith’s accusations in a follow-up note, he filed a federal lawsuit [PDF] against Yelp, accusing the site of libel and alleging violations of the Racketeer Influenced and Corrupt Organizations (RICO) Act. His contention was that the identical write-up, posted by someone also named “Sarah” had appeared online before Sept. 2011 and that is was about a company with a slightly different name and a different phone number. The locksmith alleged that it then “transitioned” to Yelp, which then “took ownership and was the speaker” of the review when it subsequently appeared on Google search results. Even though the search results the locksmith has entered into evidence are not paid ads, he argued that Yelp has the option of having its content appear on Google or not appear on Google, and that this would mean that Yelp is publishing the review. Apparently undeterred, the locksmith filed an appeal [PDF], claiming that the lower court erred because he wasn’t accusing Sarah K. of libel, but was claiming that Yelp committed libel by allowing that review to be posted on Google alongside a Google ad for which the locksmith had paid. “Yelp is the ‘User’ of Google’s interactive computer service, and the speaker of the content at issue, and Google is the provider of the ‘Interactive computer service’, therefore Google is immune under [the CDA], not Yelp,” writes the locksmith, who added that “Yelp does not use the star rating system for ‘classification’ purposes,” as the District Court judge had ruled. Nevertheless, the panel moved on to pick apart what it saw as the locksmith’s arguments. First up was the notion that Yelp had somehow picked up the original “Sarah” review from another site and falsely attributed it to the plaintiff’s business. The complaint never alleges how this may have occurred or how Sarah K.’s Yelp profile page shows that she’d reviewed at least five Seattle-area businesses before posting the locksmith writeup (which, as we’ll get to in a minute, may actually be for the wrong company). The Ninth Circuit concluded that these “threadbare allegations of fabrication of statements are implausible on their face” and do not suffice in trying to strip Yelp of its protection under the CDA. Next up for the appeals panel was the “convoluted theory” presented by the locksmith that Yelp had transformed the review into an ad or promotion on Google, along with the claims that creating a star-rating system somehow negates CDA immunity. Neither the existence of stars nor the fact that Yelp excerpts show up on Google search results are enough to consider this content that was actually created or developed by Yelp, concluded the court. Regarding the Google results, the panel said there is nothing in the text of the CDA that conditions immunity on the number of times a site publishes content provided by a third party. What’s really odd about this entire case is that there may be some truth to the locksmith’s underlying assertion that the original review was not actually about his business. We’re not saying that Sarah K. lied or posted anything untrue, but there are indeed a number of very sketchy locksmiths operating around the country using soundalike or generic-sounding names that can confuse the customer and leave them blaming the wrong provider. For example, the Yelp page on which the Sarah K. review was posted lists the website and phone number of the plaintiff locksmith, but the phone number linked to the review posted on another site points to another locksmith in Redmond. There is also confusion over the company name. The plaintiff contends in his appeals brief that he has “never used the trade name ‘Redmond Mobile'” but in his original complaint he lists both “Redmond Locksmith” and “Redmond Mobile Locksmith” as DBA names for his business. 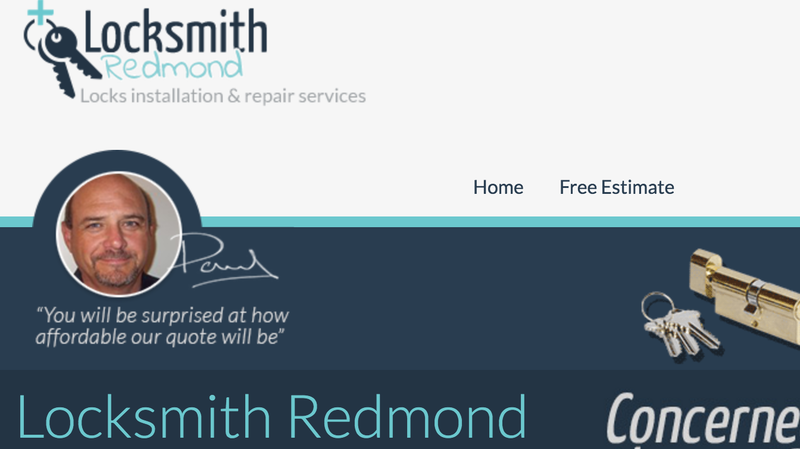 His actual website also lists “RedmondMobileLocksmith.com” on the bottom homepage, though that URL goes to a squatter page. Meanwhile, the Yelp page for another company called “Redmond Locksmith” — the actual name of the plaintiff’s business — lists a phone number and website for a company with a different name, phone number and website. It also has a single, one-star review from a different Yelper claiming they were given a bad estimate and treated rudely. The mystery deepens, as this review includes the phone number of the company being complained about. That phone number appears to be for yet another locksmith. 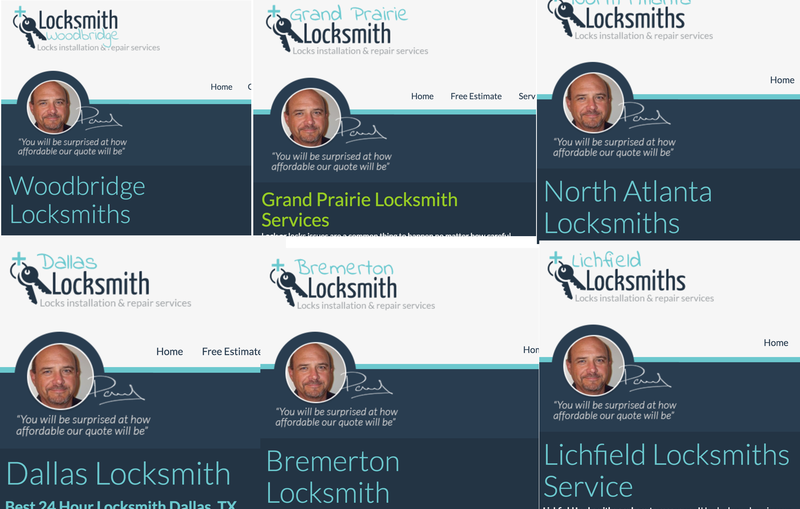 Looking at the page for the “Locksmith Redmond,” the company linked to on the “Redmond Locksmith” Yelp page, turns up a site that attempts to establish a degree of trust, with a photo at the top of a smiling middle-age dude, complete with signature. Again, we’re not saying these sites are a scam. But they are almost all using names that are generic to their respective service areas, which will likely cause confusion both when trying to find a legitimate local locksmith and then trying to remember that locksmith’s name. Yelp’s purely crowdsourced reviews may work well for restaurants and other high-traffic retail businesses, but this locksmith mess would seem to point to a big shortcoming for niche services that some people will only use once or twice in a lifetime, if ever.